Home / Other Political News, Politics / Here is what Samburu Governor told UHURU after he spent two days at the Industrial Area Remand Prison – This man is touching a live wire! Here is what Samburu Governor told UHURU after he spent two days at the Industrial Area Remand Prison – This man is touching a live wire! 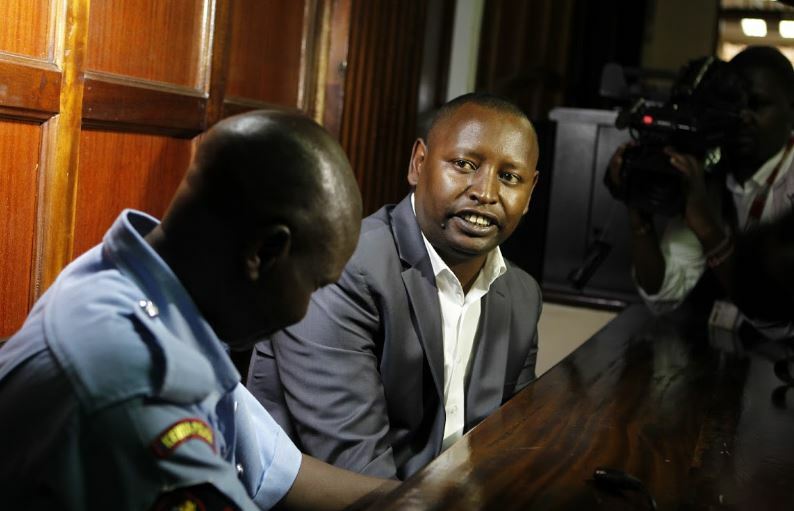 Thursday April 4, 2019-Embattled Samburu County Governor, Moses Lenolkulal, has today been freed from Industrial Area Remand Prison after paying Sh10 million cash bail. The governor was freed after his lawyer Paul Nyamondi managed to process the Sh10 million bail imposed on him. The Samburu governor spent Tuesday and Wednesday nights at the Industrial Area prison after he was slapped with Sh100 million bail by Chief Magistrate Douglas Ogoti. The Governor, however, moved to the High Court to have his cash bail reviewed terming the Sh100 million bail as outrageous, ridiculous and unconstitutional. On Wednesday, High Court Judge Mumbi Ngugi lowered the Governor's bail from Sh100 million to Sh10 million. The Judge, however, retained other conditions set by the Magistrate Court. Speaking after he was freed, Lenolkulal accused the government of President Uhuru Kenyatta of dramatising the war on graft. Lenolkulal said the war on graft cannot be won through the media as the Jubilee government thinks.